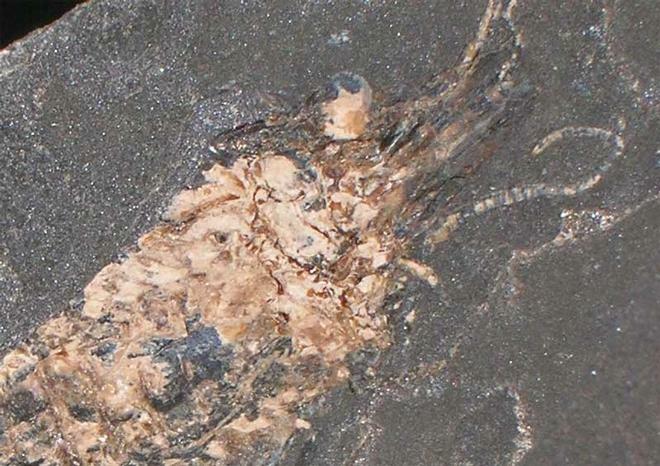 In the fossil record, it is rare that you come across preservation as fine as this. 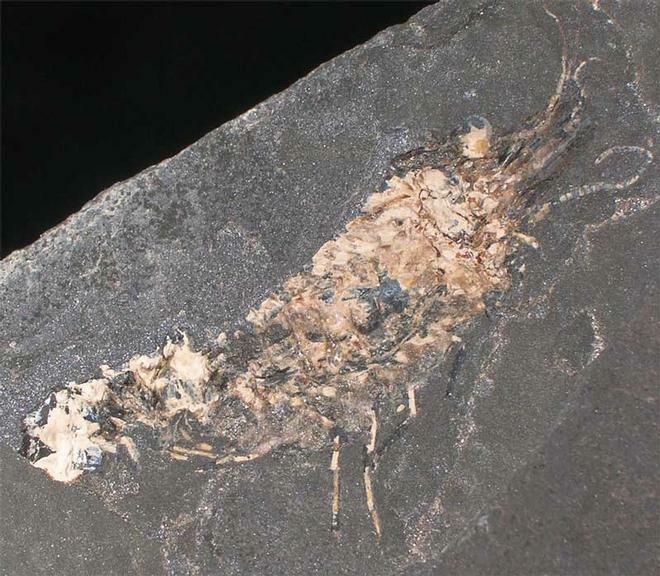 This specimen is approximately 340 million years old and is of a shrimp like creature. 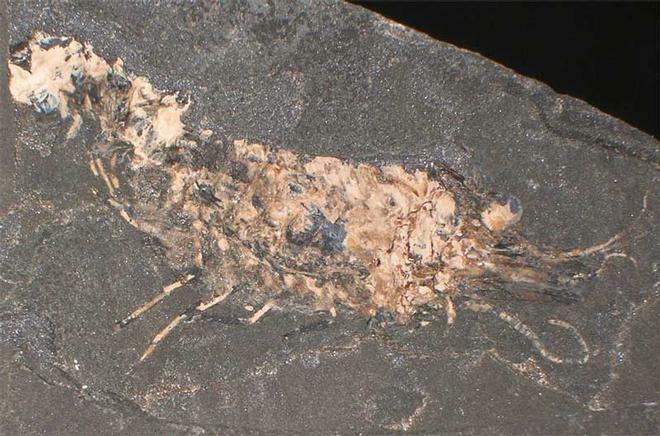 The preservation is so fine that it's legs, antennae and even its eye has been preserved ! 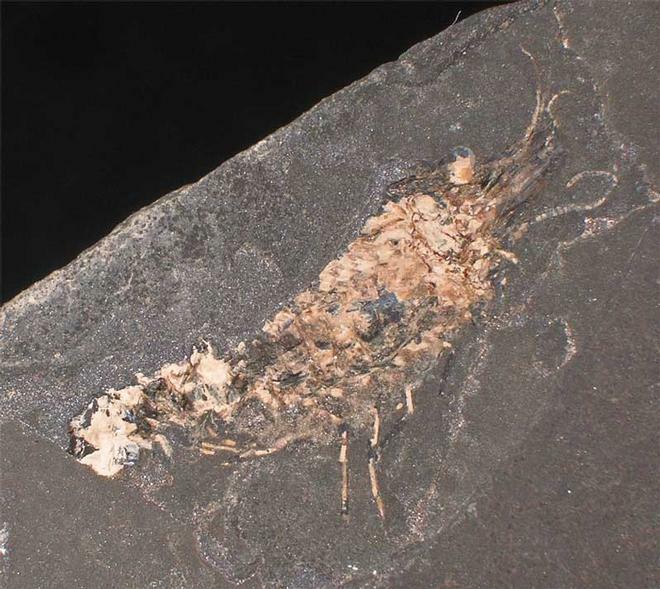 The specimen has been preserved on a block of oil shale from a classic location which was collected many years ago. A true collectors piece! !